For years I was a loyal user to Hallmark’s e-card app. I was able to send Hoops & YoYo cards to everyone on my list for every occasion. They were big hits and quickly brought a smile to the faces of just about everyone I know. Well then the mobile boom came and I went searching for an app that would allow me to quickly send e-cards on the go. Facebook has made it incredibly easy for me to know the birthday of anyone I’ve ever come in contact with. In fact they are permanently affixed in my Apple and Google calendars. So armed with the knowledge, and the fact that I won’t miss a birthday, the time had come to find an app to send e-cards. That app is CleverCards by Cleverbug. Clevercards is just what you would expect. It’s a mobile app that allows you to send e-cards to anyone you want absolutely free, or you can opt to send out printed cards in the mail for a very small fee. The company offers thousands of designs, that are customizable for any occasion. Clevercards is like having your own personal card store in your pocket. Now the Irish company has added audio and video support. 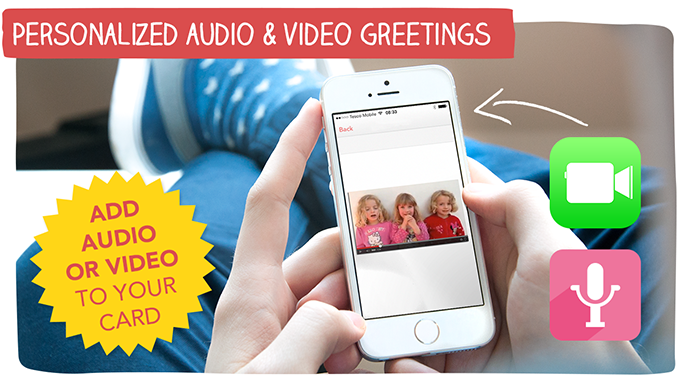 By signing up for CleverCards Premium Service I can elect to insert an audio or video message into the e-cards that I’m sending making it even more personal. I can record a 20 second multimedia message that can then be shared via Facebook email or other sharing services through the CleverCards app. You can check out CleverCards here.